I-140 Petition • The Law Firm of Craig J. Peterson L.L.C. The I-140 Petition for Alien Worker is used for both employer-sponsored and self-sponsored positions. The procedure and the timing of obtaining a green card through employment with the I-140 Petition varies depending on the type of position and required qualifications. Some petitioners can start with the I-140 Petition, while for most the I-140 is the second step of the process, having first obtained a Labor Certification (PERM) from the Department of Labor. 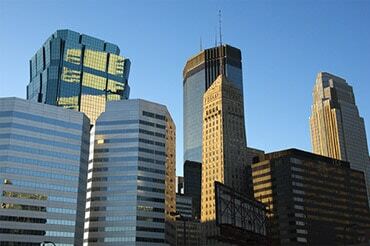 The Twin Cities business immigration attorneys of The Law Firm of Craig J. Peterson L.L.C. assist individuals and employers worldwide who are seeking green cards via I-140 Petitions. We encourage you to contact us if you need legal advice regarding eligibility or the application process. Each month, the Department of State publishes a Visa Bulletin, which contains a list arranged by Priority Date, type of position, and country of nationality, to determine when the final step toward permanent residence can be applied for and a permanent resident visa issued. The Priority Date is the date that the Labor Certification (PERM) was filed if such a step is required, or when the I-140 Petition was filed, when no Labor Certification is required. The Priority Date is essentially the worker’s place in the queue for filing adjustment of status or immigrant visa. If the worker is within the U.S., the final step is an I-485 Application for Permanent Residence filed with USCIS. If abroad, the final step is a DS-260 Application through the National Visa Center and a U.S. Consulate. There are five different types of employment-based (EB) visas: EB-1 through EB-5. Each has its own requirements and waiting periods, as listed on the Visa Bulletin. Extraordinary Ability – EB-1A. For those demonstrating extraordinary ability in the sciences, arts, education, business, or athletics. This may be a self-petition or employer-sponsored. No offer of employment is needed, nor is Labor Certification (PERM) required. More about the EB-1A Visa for Extraordinary Ability. Outstanding Professors and Researchers – EB-1B. Must have an offer of employment from a prospective U.S. employer. No Labor Certification (PERM) is required. More about visas for professors and researchers. Multinational Manager or Executive – EB-1C. Must have an offer of employment. No Labor Certification (PERM) is required. The U.S. employer must have been doing business in the U.S. for at least one year, and the employee must have worked as a manager or executive for the company’s foreign parent, subsidiary, branch or affiliate for at least one year in the last three, or for one year within the last three prior to entry into the U.S. More about the EB-1C Visa for Multinational Managers and Executives. Advanced Degree. To qualify as EB-2, the position must require at a minimum either a Master’s degree or, in the alternative, a Bachelor’s degree and five years’ post-bachelor’s progressive experience. An offer of employment and a Labor Certification (PERM) are required. National Interest Waiver. To qualify, the candidate must meet certain criteria, and also demonstrate that it is in the national interest for the candidate to work permanently in the U.S. This may be a self-petition or employer sponsored. The “waiver” eliminates the requirements for a job offer or Labor Certification requirement. Details on the National Interest Waiver. Exceptional Ability. To qualify, the candidate must demonstrate a degree of expertise in the sciences, arts, or business which is significantly above the ordinary, meeting certain requirements. No advanced degree or national interest is required. An employment offer and a Labor Certification (PERM) are required. The EB-3 category is for professional positions that require a Bachelor’s degree or foreign equivalent, skilled worker positions that require at least two years training or experience, or unskilled (other workers) positions that require less than two years’ experience. This category requires employer sponsorship and a Labor Certification (PERM). Since more jobs will qualify under this category, this is the most prevalent category, with generally the longest waiting periods. The EB-4 category is for “Special Immigrants,” which includes certain religious workers and certain members of the Armed Forces, for example, among other specific categories. The EB-5 category is for entrepreneurs who make the necessary investment in a commercial enterprise in the United States, and create or preserve 10 permanent full-time jobs for qualified U.S. workers. There are different allotments on the Visa Bulletin for Non-Regional Center and Regional Center EB-5 petitions. More information on the EB-5 process. Based in Woodbury, our immigration attorneys work with individuals and companies in the Twin Cities and throughout the globe. We welcome you to contact The Law Firm of Craig J. Peterson L.L.C. for assistance with your immigration matter.